Gio’s Strada provides four original “Piaggio Ape” foodtrucks and proposes quality fresh Italian dishes for your guests. You have the choice: handmade pasta, panini filled with special traditional Italian meatballs and mozzarella dishes. We always move with at least two vehicles to offer a wide choice. 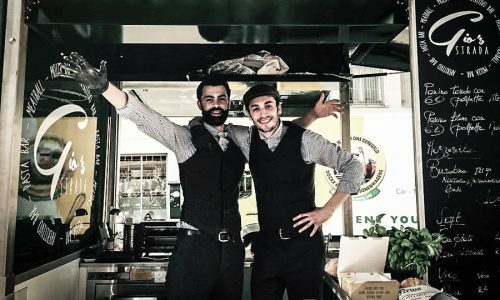 Bringing you the authentic flavors of Italy and the spirit of the “Dolce Vita” at any place and any time on original “Piaggio APE” scooters is the crazy challenge of Giuseppe and his two son. You really feel like in a Roman paved street. 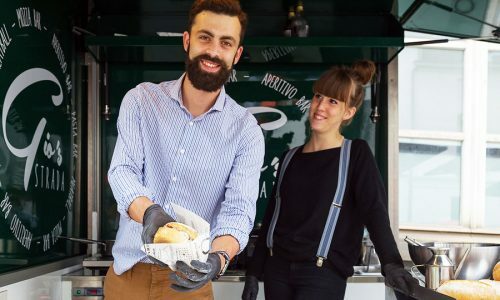 Good food lovers and passionate about the art of Italian living they embarked on this project of new kind of foodtruck. 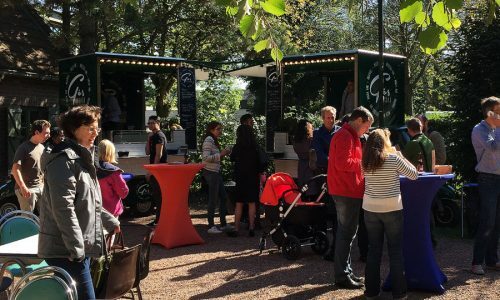 The aim of the concept is to bring authentic Italian cuisine made artisanally using fresh products on all types of events. 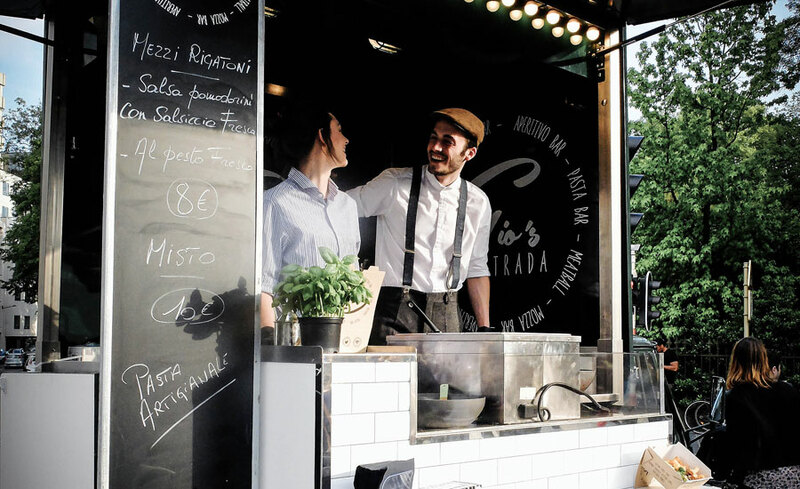 An original identity, a convenient mode of transportation appropriate for all types of places, smiling staff and delicious specialties make our foodtrucks “Gio’s Strada” the focal point of your next garden party or corporate event.